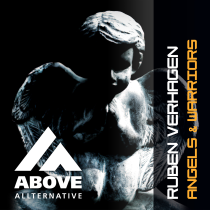 Ruben Verhagen is a fast rising name in the Dutch Trance scene, where he played already at a lot of festivals. Ruben shows he also acquires serious producing skills and produced this energetic Trancer. Tested by Ruben himself during his many gigs, the combination of driving bass, beats and powerful synths makes a track that is a proven dance floor destroyer! Signum dropping Ruben Verhagen – Angels & Warriors @ Summerlake 2015!